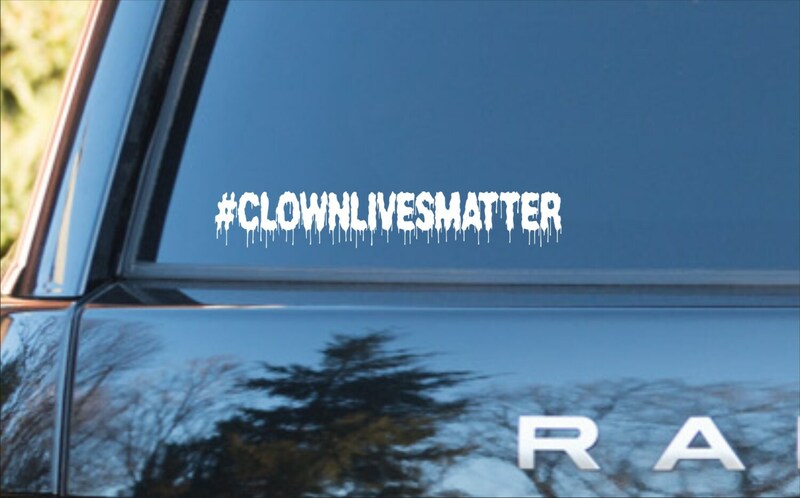 #CLOWNLIVESMATTER vinyl decal- Jump on board with the clown craze. Show your support for the creepy clown community! We use only high-quality outdoor vinyl. Easy to apply and will arrive with application instructions. This design is approx. 1.5" x 7.5" in white vinyl. If you need a different color just message me. Great for your car, truck, camper, boat, cooler, laptop, guitar case, etc. *****ALL of our customers will receive a FREE gift as a "Thank You".